Maybe it's just the lighting at Houston Arts Alliance's space125gallery, but when I approached Leigh Ann Lester I could swear that she had an impish gleam in her eye. As I asked her about her exhibition, Beautiful Freaks/Nature's Bastards, it only seemed to get brighter. 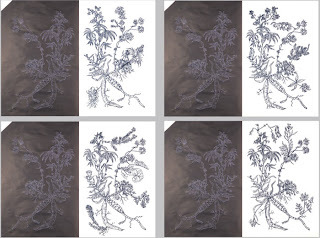 The show consists of renderings of plants in the form of sculptures, needle work, carbon drawings, ink and pencil drawings. From 10 meters away, it's could easily be mistaken for 19th century floral etchings or the obsessive compulsive homework of a botany student. It's when I stepped closer that I began to appreciate the incredibly minute detail and precision of each piece and the subtle biological incoherence in them. 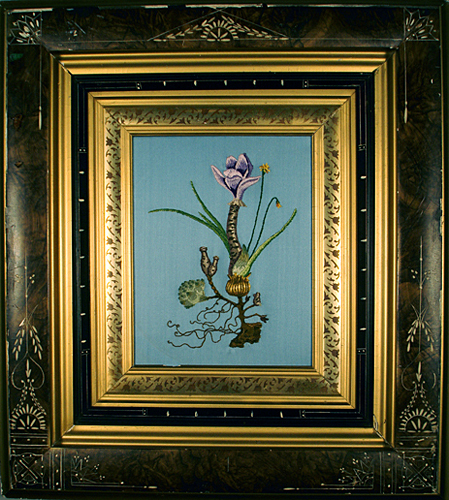 Like a naughty, nerdy botanical illustrator Lester's very subtly blended different plants to create a series of Frankenflora as she refers to them in her statement for the show. 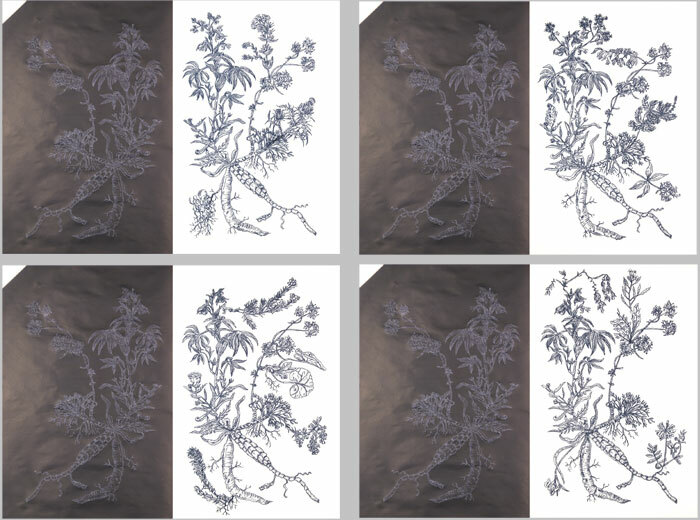 As my eye travelled from flower to stem to flower, I slowly began to notice botanical disharmonies: completely different flowers on the same plant, different stalks and stems issuing from the same root system, various leaves from the same stem. They're only subtle if you don't pay attention. I'm not a plant person and I could easily identify the incongruencies. 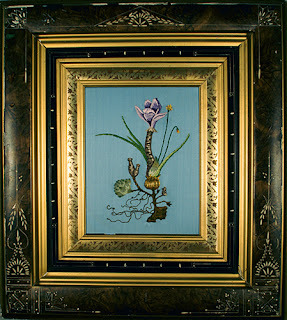 Lester's Imitatia perfecta series furthers the theme of playful disunities. The visual format (carbon paper adjacent to traced image) indicates that these are identical, but the title states otherwise. I fell for it completely and had to look at the pictures twice to get it. And then of course there are the names, which are a Latin torture game in and of themselves, but botanist will recognize that all the roots are authentic. For example, Crocboleaparsempeustusgiaervivum Zpnaluriaspetecttusduraorum. 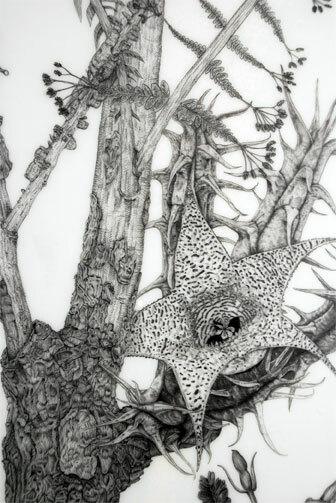 The gleam in Lester eye might be attributable to the fact that she won the Hunting Art Prize for 2011. However, I think it's because she knows that in this game her work makes the viewer look twice.